This attempt may not be suitable for the faint hearted and it may be intertpreted as if I’m dropping a bomb but here it goes. With the release of Windows 10 and Microsoft’s approach with the semi-annual update channels it may make sense to reevaluate the daunting task of driver management. Would it be great if it can be thrown out of the window (no pun intended) so you don’t have to bother about it anymore? Time to invest some serious testing. To summarize it all, would it be great to have a fully patched machine including all drivers during deployment? 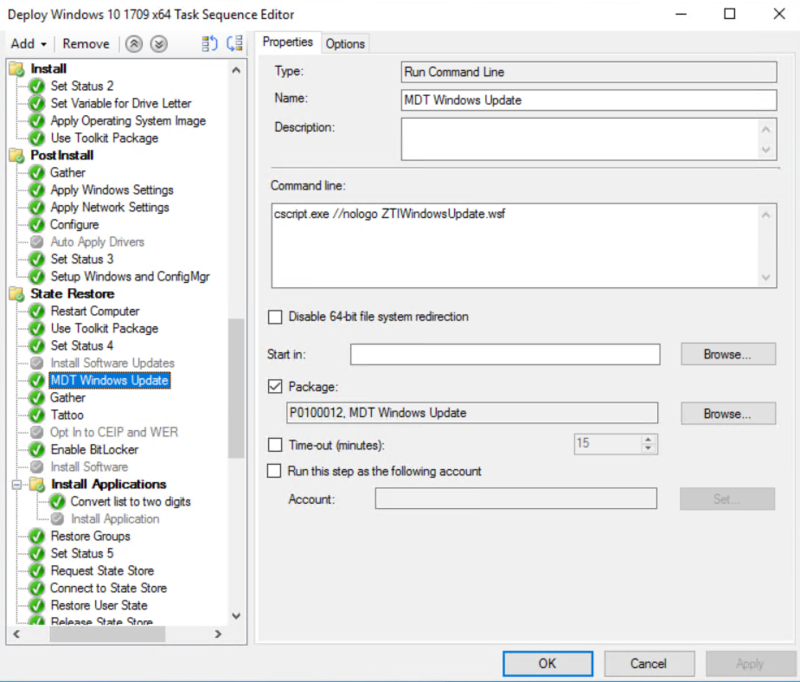 I followed the steps except setting the variable (by not setting it) required by ZTIWindowsUpdate.wsf to make sure the script will go to Microsoft Update and retrieve all required updates from there. Additionally, I did check the ‘Continue on error’ checkbox to make sure the Task Sequence can continue in case update installation may fail. During testing I noticed some old printer driver failed to update while the rest installed properly. Enabling the ‘Continue on error’ checkbox is easier than collecting all exit codes. In my scenario, it looks like this. Alternatively, you can place the step after installing all applications so they may be updated as well. Of course this requires some testing, if some devices are not installed because the driver is not available on Microsoft Update, then you can add them yourself. The result is the deployment may take some time but you have a fully updated machine and don’t need to bother about managing drivers afterwards.